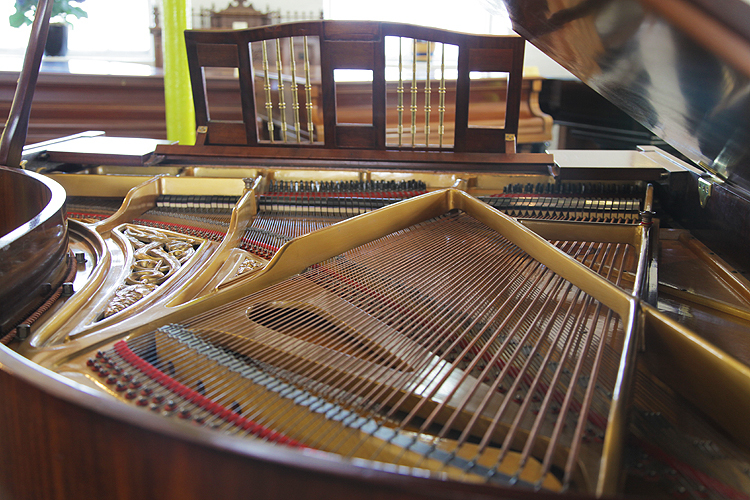 ARTS AND CRAFTS IBACH GRAND PIANO WITH A MAHOGANY CASE. 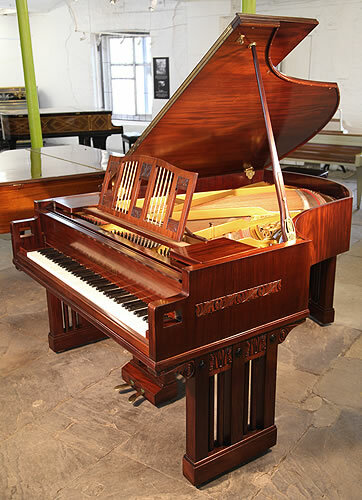 A 1916, German Arts and Crafts, Ibach grand piano with a mahogany case and carved panel detail. 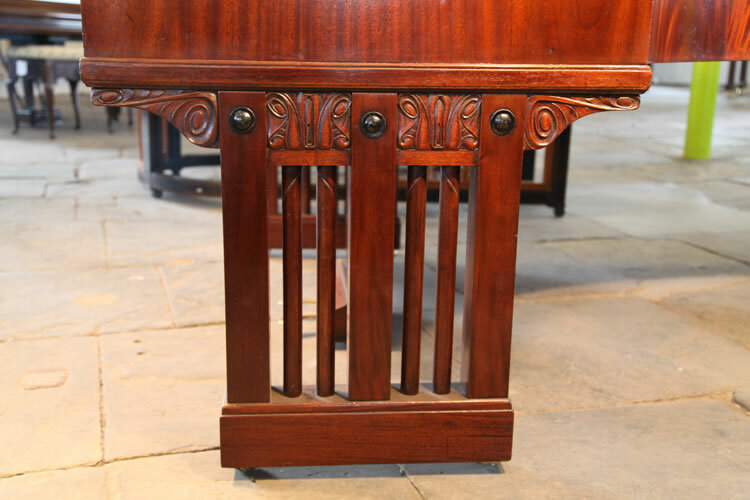 The mahogany cabinet is polished so as to emphasize the quality of the wood used. Simple, rectangular lyre with 3 circular columns. Rectangular style and columns continued on gate legs with carved foliage detail at top. 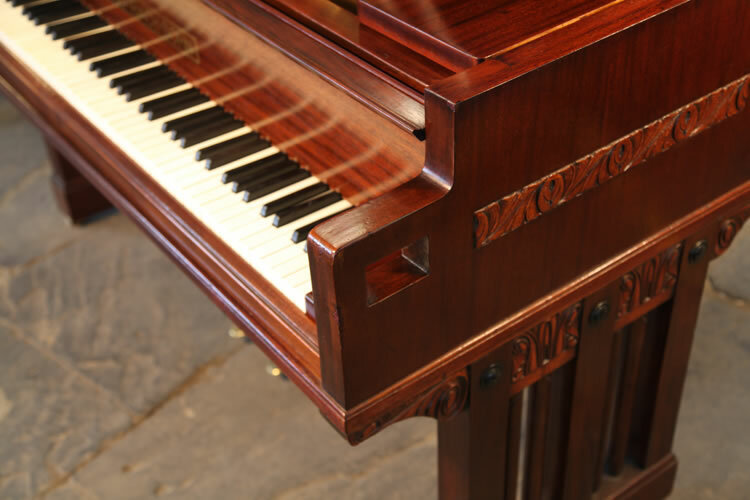 Piano cheeks feature square cut indents. 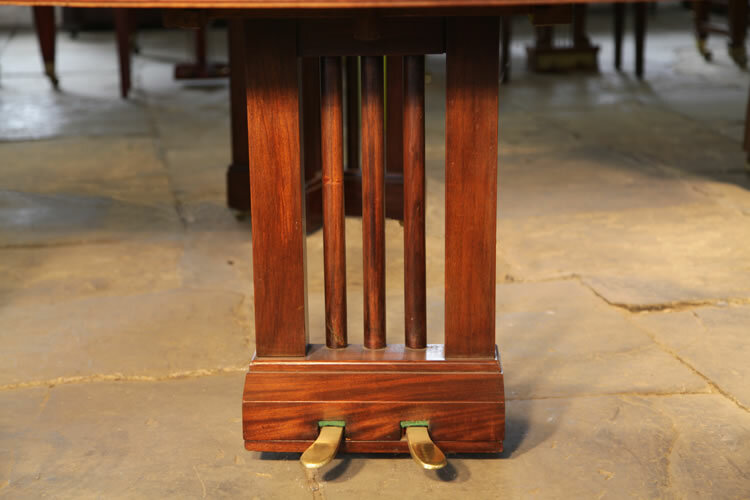 Open work music desk features twisted brass spindles. 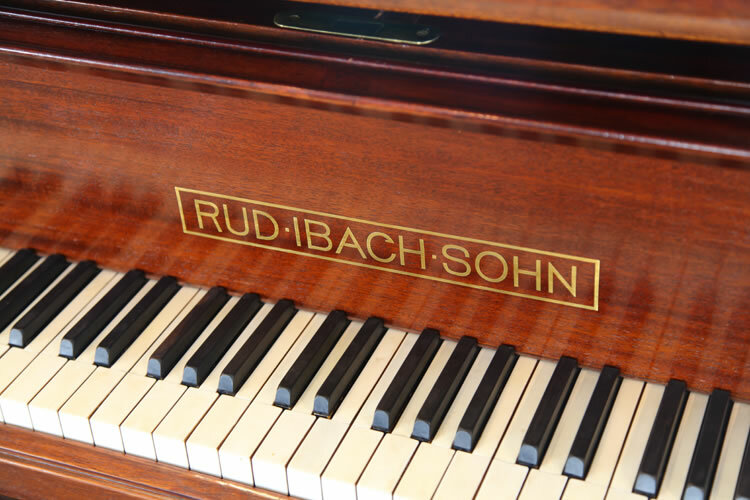 This Ibach piano serial number 49571 is one of four ever made. It was designed by a Dutch architect, Theodorus Joannes Josephus Cuypers (Roermond, 1861 - Meerssen, 1949). Cuypers is chiefly noted as the architect of many Catholic churches. He was a knight of the Order of the Dutch Lion and Knight of the Order of St. Gregory the Great. He was a son of the architect Pierre Cuypers and singer Antoinette Alberdingk Thyme. He trained in Delft at the Polytechnic, where he graduated in 1883 and then worked as an assistant to his father in his business. 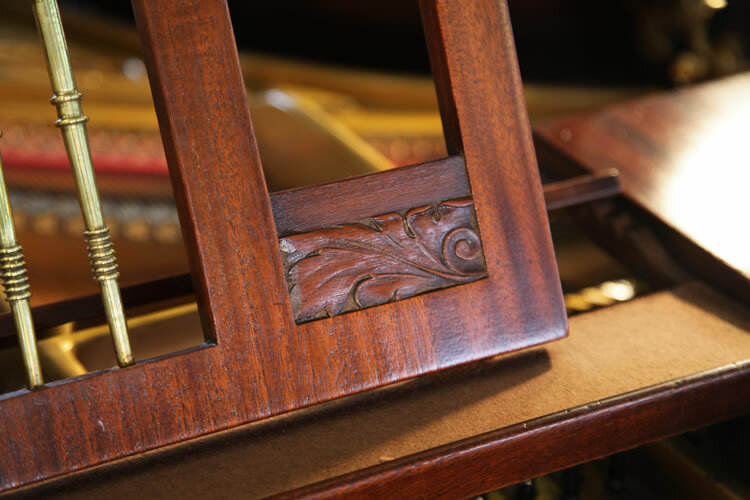 This Ibach open work music desk features small carvings of a foliar and floral design with brass spindles. 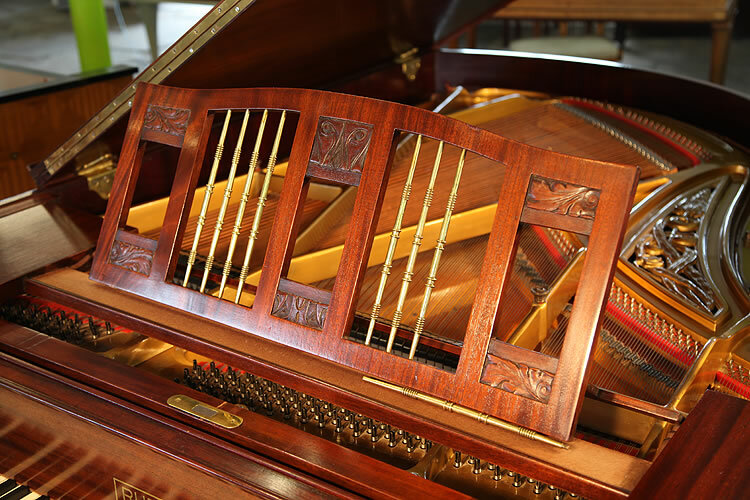 The gate legs of this Ibach grand piano have three rectangular upright posts divided by 2 rods. At the pediment of the leg is carved stylised detail. Ibach name in brass on fall. 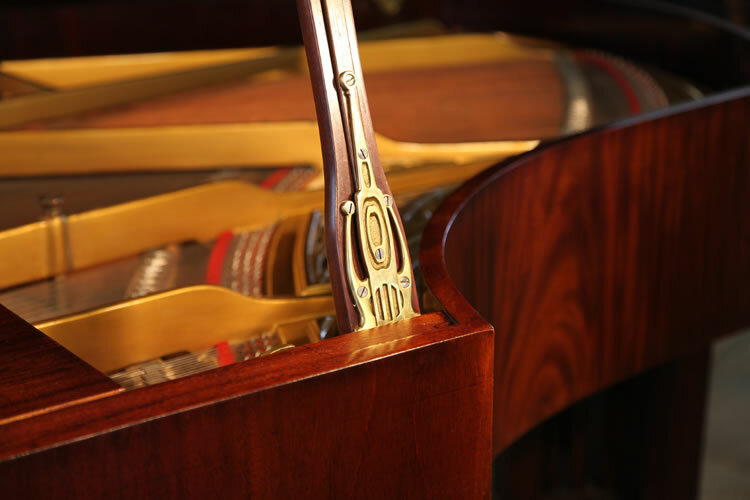 The raised piano cheeks of this Ibach grand piano contain a square cut-out. A strip of carved stylised flower detail runs parallel. 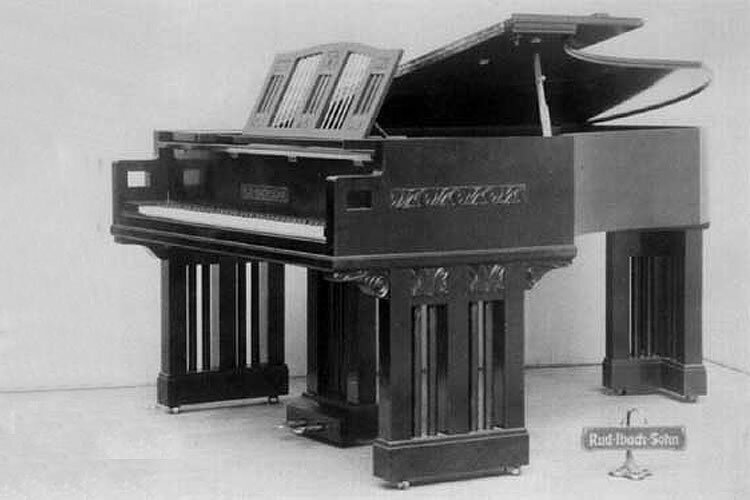 The simple design of this Ibach piano lyre mimics the legs with two rectangular uprights sperated by three rods. 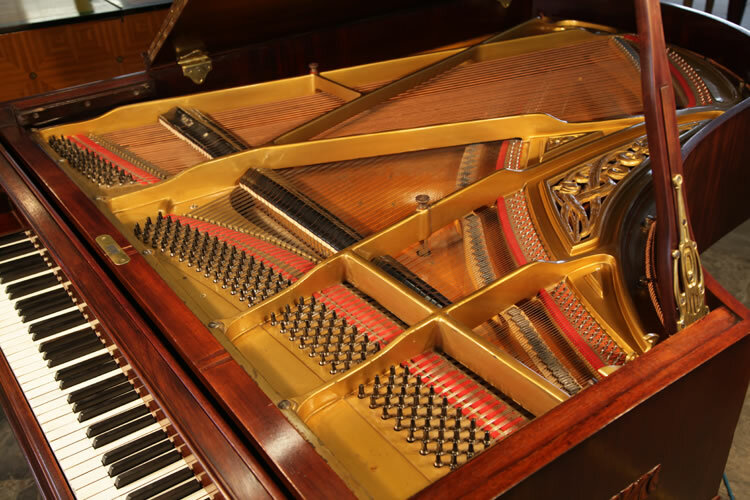 The instrument of this Arts and Crafts Ibach grand piano is currently unrestored. Price includes restoration. 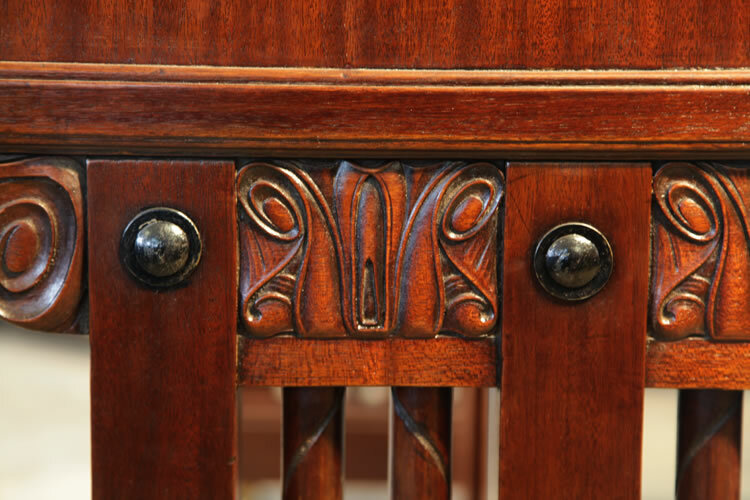 Carved detail of stylised foliage on the Ibach music desk. 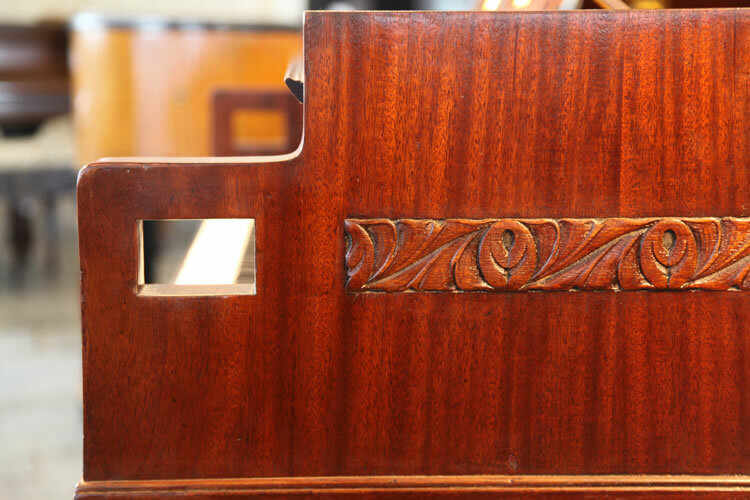 Carved detail of stylised flowers on piano leg pediment. The last stone laid at St. Bavo in Haarlem (1928). The Roman Catholic church under construction Saint Bavo in Haarlem nearing completion, architect Josephus Theodorus Johannes Cuypers and the Bishop of Haarlem, Mgr. J.D.J. Aengenent , bricklaying the last stone.